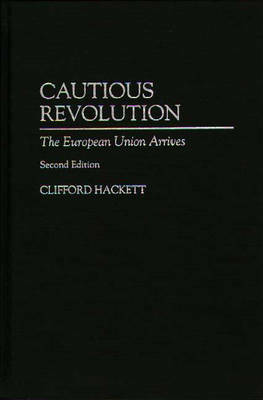 This is a thoroughly revised and updated edition of Hackett's well-received 1990 text. The work aims to provide a comprehensive account of the history, policies, and programs of the European Union (EU), the 15-nation alliance moving toward the economic, monetary, and political union of Europe. Starting with the European Coal and Steel Community, the study gives a full treatment of EU institutions, the common agricultural policy, and issues surrounding monetary and political union. Separate chapters cover EU foreign policy, including relations with the United States, and the future of the European Union. In addition, the work includes an extensive glossary of terms relating to the EU, a biographical appendix of European leaders, and a bibliography and guide to American sources.